Preheat oven to 350°F. Arrange mini-phyllo shells on a parchment-lined baking sheet. Whisk eggs, Parmesan cheese, basil, sage, rosemary, salt and pepper together in a large bowl and set aside. Heat oil in a medium skillet over medium-high heat. Add onion and saute until soft, about 7-10 minutes. Remove from heat and cool slightly. Add onions to egg mixture and stir to combine. 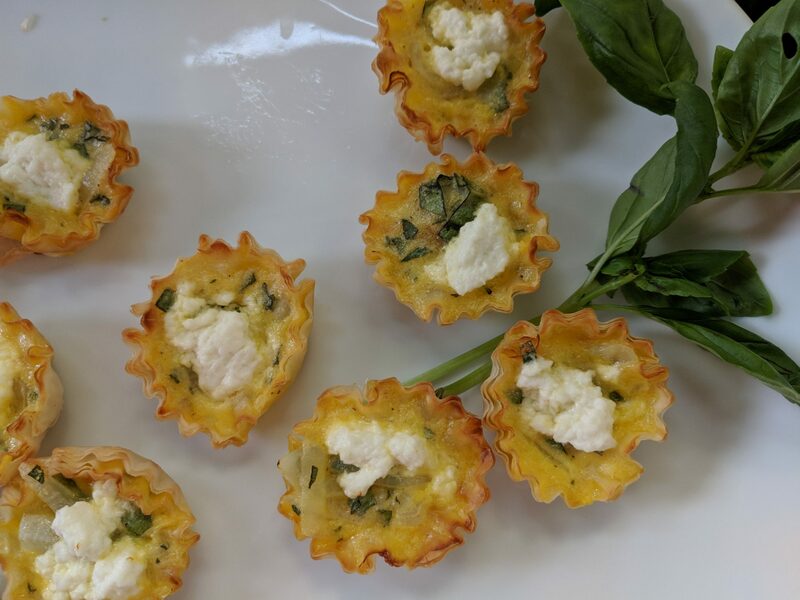 Carefully spoon egg mixture into phyllo cups. Top each with a small dollop of ricotta cheese. Bake in preheated oven for 10-12 minutes, or until eggs are just set. Remove from oven and serve warm. Enjoy!